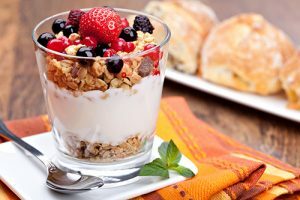 Muesli A Favorite Healthy Breakfast. Muesli is not a typical Cambodian meal ingredient, however I have found that the Mulberry Tree brand, called Roasted Almond Crunch, to be a wonderful ingredient for a lot of my new stir fry experiments as well as an addition to a lot of old favorites. Roasted Almond Crunch a healthy breakfast cereal from Mulberry Tree is a very healthy product based on almonds & oats and it a quick way to add crunchy wholefood goodness to your meals. I particularly like that brand because it is low in sugar having no added sugar and I have taken to eating it topped with Yogurt and fresh fruit for breakfast. Its an easy healthy breakfast and it makes a very healthy breakfast loaded with nutrients and protein and also Low GI, so it keeps me going for energy long into the day. 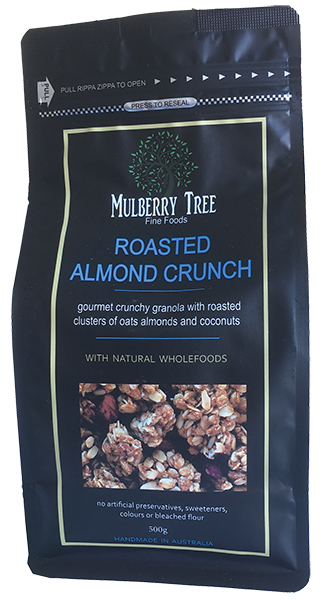 You can buy Mulberry Tree’s Roasted Almond Crunch direct from the wholesale food distributors Opera Foods online and they deliver. Buy a carton. You will love it.